There’s something about fourth quarters that makes them the most interesting. In business, and in sports, no time is go time quite like the 4th. Whether it’s the pressure from the year coming to a close, the pressure to hit goals, or the pressure from our internal competition “The Realtor Race”, the 4th Quarter at JohnHart is always an impressive burst of energy and effort. The quote we chose above jumped out at us because no one understands 4th Quarters better than athletes (and yes we realize there are two periods in soccer, punk!). 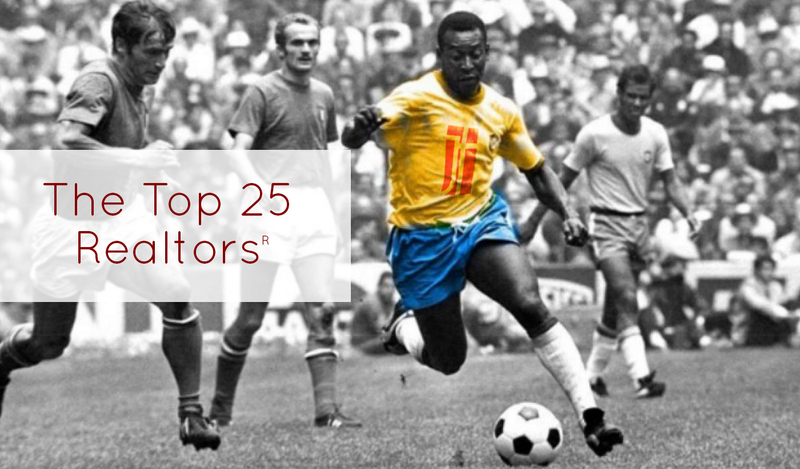 We also chose this quote because the requirements Pele describes as essential to finding success perfectly personify our Top 25 Realtors. These Top 25 real estate agents and brokers laid everything on the line and went after it this past quarter. They dug deep and found the strength to take their careers to the next level. We are extremely proud of all of these guys and gals, and especially the newcomers to this list – yes, folks, some regulars were dethroned! The 4th quarter may signify the end of a year, but it’s just the beginning for these amazing Realtors! Oh, almost forgot, the burst of energy and effort we referred to earlier? Consider this on the last business day of the year alone, we closed 37 Sales!! !